Prerequisites: No previous experience is required! This course is designed for those of you interested in learning to kayak, or those of you interested in refining your basic skills. If you have some on-water experience and are looking to refine your technique and improve your strokes, this is the course for you! Day 1: You will start by getting outfitted with all of the necessary gear needed for the class. 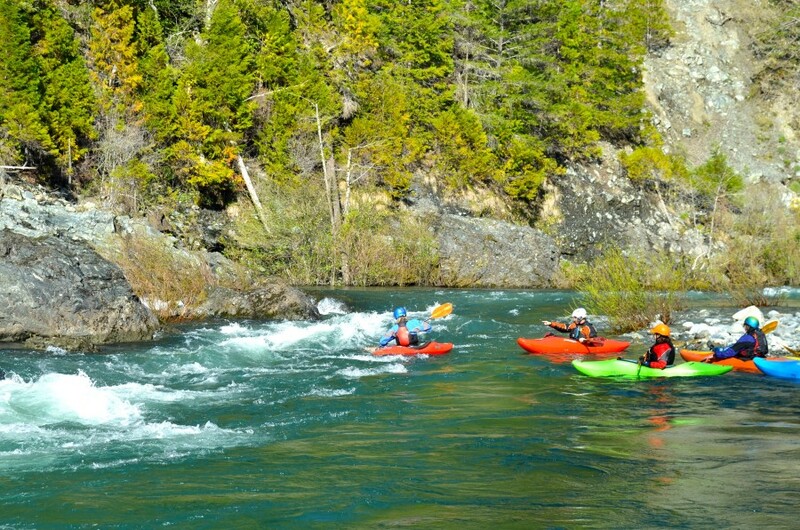 The first morning will be spent in a pool or flat water section of the Smith River. You will learn basic river safety and various rescue methods including swimming and self-rescue. Once in the kayak you will discover how to keep it upright, and in the event that you tip over, you’ll learn how to wet exit, which believe it or not, is easier than you might think! We will cover body positioning, posture, tilting and basic strokes, and then it will be time to head out on your first river trip! In the afternoon you will learn about hydrology and identifying basic river features such as eddies, waves, obstacles and learn general water reading skills. You will have opportunities to use your basic strokes such as forward, sweep and stern draws to effectively maneuver your kayak. Then we will apply these techniques to cool maneuvers such as eddy turns, peel outs and ferrying across the river. 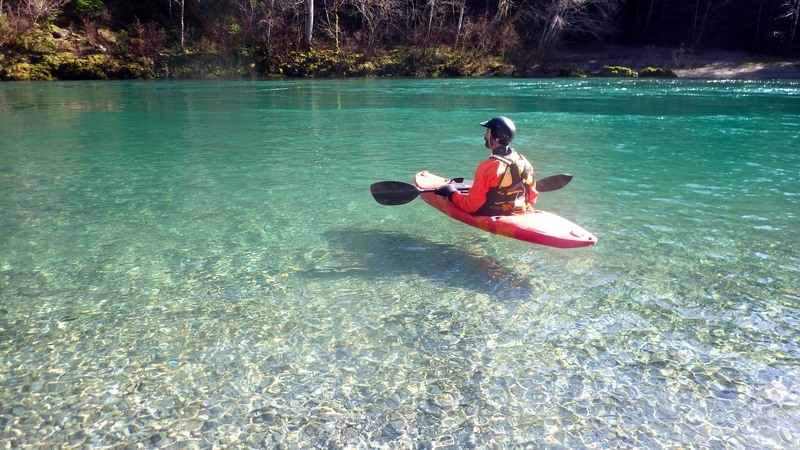 These are the basic maneuvers you can use to run any river! Students are learning how to apply their skills and techniques to moving water. 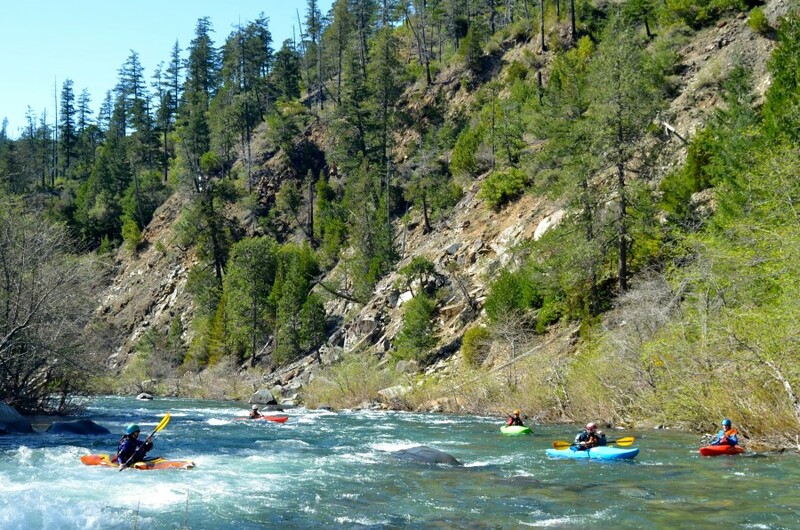 Day 2: This is an opportunity for you to kayak a Class I – II section of the Smith River. You will have an opportunity to apply your skills and techniques to moving water. We will also introduce the concept of T-rescues, where you can flip your boat back up right without even needing to have a roll! This day is all about gaining confidence on the water. A whitewater kayak becomes like an extension of your body and it takes some practice getting used to how to use it. Don’t forget to look around and admire the beautiful Smith River. Our goal is to give you the skills, knowledge and confidence so you can continue kayaking after this class! All of us at Sundance Kayak School recognize the importance of you having a positive experience. To achieve this goal we maintain a 4:1 student to instructor ratio. This ratio will ensure you’re receiving the small group dynamic as well as the personal attention you deserve. The American Canoe Association is the recognized standard for kayak instruction. You’re class will be lead by a certified ACA Whitewater Kayak Instructor. To learn more about the criteria and standards our instructors must meet to achieve this certification, please visit the ACA website: www.americancanoe.org. Breathtakingly beautiful, the Smith River flows crystal clear through the heart of the Redwood country and is one of the “crown jewels” of the Wild and Scenic River system. This is California’s only un-dammed, free-flowing river. Famed for its water quality, the Smith is widely considered to be one of the premier “salmon strongholds” of the lower 48. In 2015, it was made American Rivers Most Endangered Rivers List. With over 300 miles of runnable whitewater, this river is a kayaker’s paradise. 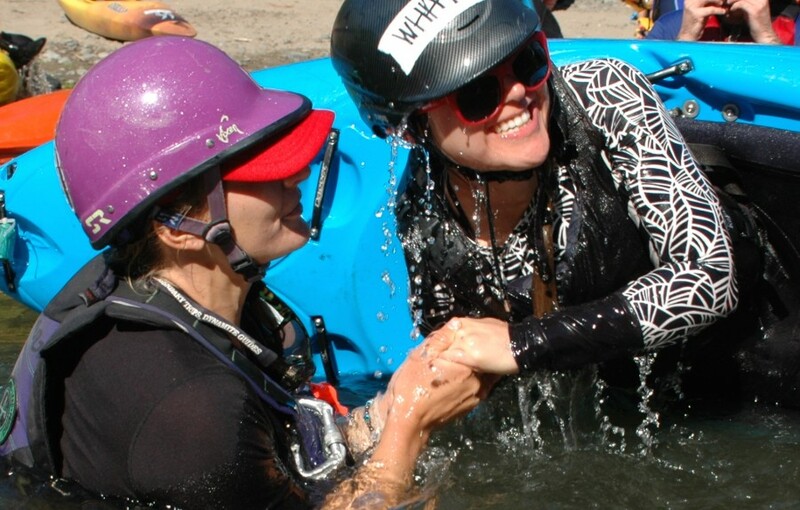 The Smith offers a smorgasbord of paddling choices, from class 1 to class 5, and lends itself to a fantastic progression of runs, for kayakers looking to improve their paddling.